August is here and it’s still hot outside but there is plenty of summer left! Looking for something to do with the family? Go out and enjoy some wonderful outdoor kid friendly festivals and fairs in New Jersey. Check out animals at 4-H fairs, go listen to some blues music, or chow down at street food festivals. Action packed for the whole family. Antique cars, trucks, Dirt Track cars, Tractor pulls, ATV Mud bog, Demolition Derby, horse shows, livestock barn, art expo, flower & herb show. Carnival rides, music bands, food and much more. Check out Kids Corral with kids friendly shows and crafts. See colorful and festive hot air balloons soar above the sky. Balloon rides available. FREE Admission and Parking. Enjoy clams galore!! Great fresh seafood, live music entertainment, contests, games and rides. Clam fun for the whole family! Old fashioned country fair with lots of food, entertainment and shopping. Carnival rides & games, racing pigs, petting zoo, bicycle stunt show, pony rides, demo derby, mudbog, monster truck show, horse show, oxen & ostrich exhibit, and farmers market. Special Children’s Day Aug 7th. 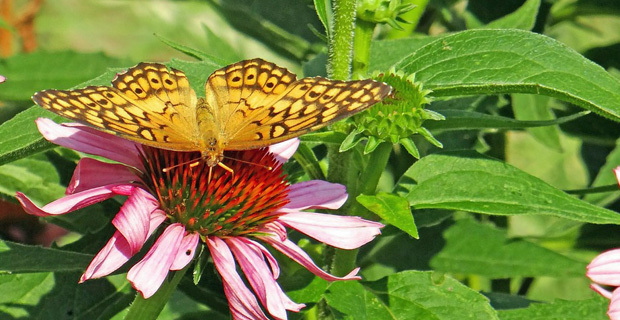 18th Annual Butterfly Festival held on the 950 acres. Fun family activities, live music, nature walks, Butterfly and Bug Parade, and hay rides. Tour exhibits, famed insect zoo, and the Kate Gorrie Butterfly House. $ Admission. All-day festival featuring local and regional craft beers to wash down favorite summer foods, steamed crabs, pulled pork, crab cakes, shrimp and hot dogs, as well as food from regional vendors. Live music plus Victorian Circus with jugglers and acrobats. FREE Admission to grounds. Love Peaches? Pick your own peaches. Fun family activities - pony rides, tractor train rides, hay wagons and more. Tasty peachy treats - peach pies, muffins, cakes, ice cream and tarts. Giant block party featuring kiddie rides, pony rides, games, petting zoo, face painting and plenty of food. East Brunswick’s premier summer event with rides, games, shows, music entertainment, food and much more. Featuring family friendly UWA Elite Pro Wresting, Barnyard Express with Farmer John, Deputy Boots & Sheriff Britches singing, Axe Women Loggers of Maine show, Moto & BMX Throwdown, and fireworks Monday & Sunday. FREE. Night Out evening of awareness sponsored by the Park Police of Morris County. Explore police cars, motorcycles, fire engines, ambulances, park police mounted horses, K-9 Units, skill and equipment demos. Food, games, giveaways, music, entertainment, child IDs, and ice skating. FREE Admission. $ Parking. So many animals: horses, goats, cows, chickens, sheep, pigs, rabbits and many others. Contests, demonstrations, and children’s activities. Pony rides, tractor pulls, truck engines.